Here are some of the many scenic walking / Jogging and Cycling trails from the Lake Hotel to the Killarney National Park. Muckross Lake Middle lake walking cycling trail 15 km taking in Muckross Abbey, The Caves, Old Furnace, Copper Mines, Bricin Bridge, Dinis Cottage, Meeting of the Waters, Torc Waterfall and Muckross House. Torc mountain via the Old Kenmare road and the railway sleeper trail to the top. Torc, Old Kenmare road to Derrychunny, lunch at Lord Brandon’s Cottage (21 km) and a Boat trip back to the Hotel (groups of 6+) or Ross Castle. The Killarney National Park extends over 25,000 acres and encompasses the famous Lakes of Killarney and the MacGuillicuddy Reeks, Ireland’s highest mountain range. There are so many features to this enormous and impressive park that it is impossible to name them all. Some of the more popular or better-known areas include Torc Waterfall, an impressive waterfall easily accessed from the road and by walking up alongside it Dinis Cottage, a historical cottage which dates back to the 1700s and was once a hunting lodge. 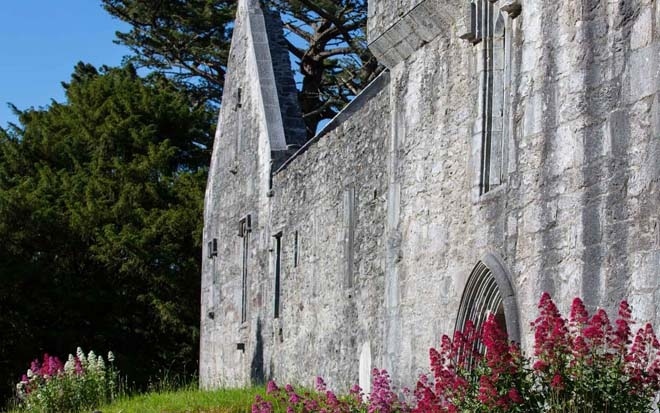 It has operated as a tea room for more than 200 years and offers both inside and outdoor seating, and it is a tempting stop-off for many visitors walking the popular Muckross and Dinis route through the National Park. You can get to Muckross Abbey from the Lake Hotel easily because we adjoin the National Park. It is a fantastic walk you can cycle or take a Traditional Jaunting Car and its only 1.5 km. Muckross Abbey Killarney is one of the major ecclesiastical sites found in the Killarney National Park, County Kerry, Republic of Ireland. It was founded in 1448 as a Franciscan friary for the Observantine Franciscans by Donal McCarthy Mor. It has had a violent history and has been damaged and reconstructed many times. The friars were often persecuted and subjected to raids by marauding groups. Today the Abbey is largely roofless although, apart from this, is generally quite well preserved. Its most striking feature is a central courtyard, which contains a large yew tree and is surrounded by a vaulted cloister. Some say that Yew tree is the oldest living thing in Ireland at over 500 years? It became the burial place for prominent County Kerry poets O’Donoghue, O’Rathaille, and O’Suilleabhain. Muckross House is a magnificent Victorian mansion and one of Ireland’s leading stately homes. 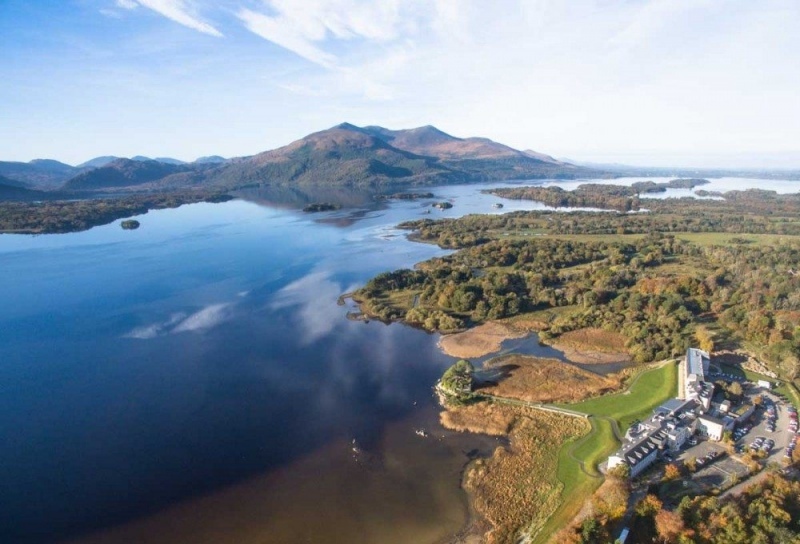 It is beautifully situated amidst the spectacular scenery of Killarney National Park, Ireland’s premier National Park. The elegantly furnished rooms portray the lifestyles of the landed gentry, while downstairs in the basement one can experience the working conditions of the servants employed in the House. 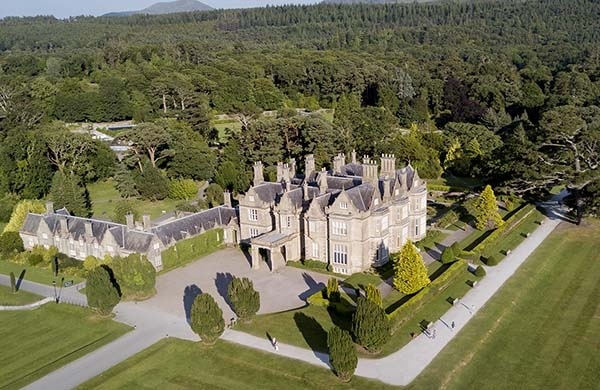 Muckross House is also home to a number of skilled craft workers who can be seen using skills in the crafts of weaving, pottery and bookbinding. Many tender and exotic trees and shrubs flourish in the mild climate and sheltered location of the Muckross gardens. Attractive features include a fine collection of rhododendrons and azaleas, an outstanding rock garden on a natural rock outcrop and beautiful tree fringed lawns. The Muckross traditional farms are an authentic outdoor interpretation, on a 70-acre elevated site, of rural life in Kerry in the 1930’s and 1940’s. The traditional farms present an authentic environment and experience of rural life in the early part of the 20th century. Traditional buildings and field systems are recreated and domestic farming and craft practices are carried out daily during the visitor season.